Happy Holidays to all. Have a question? Email me. Welcome. I am going to start by listing all the questions that I have covered in this section. Read the list and see if your question is here. Then scroll down to see your question and the answer.. If you don't see your question listed, click the contact icon and write me. Thank you for visiting the page. 1. What is the difference between a shiai, an invitational tournament, and an open tournament? 2. 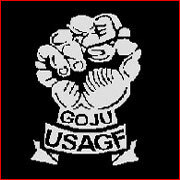 Explain the rank system in USAGF system. 3. How and when will my child get promoted? A shiai is a competition for one style or dojo. It is usually held in one of the dojos and is low key. It is a safe and (relatively) inexpensive way to compete. Like it's name implies, at an invitational tournament competitors are invited through their dojo, and / or their Sensei. Because the styles mix together, it is traditionally a little more competitive than a shiai. The competition is quite safe and as fair as possible. It is traditionally slightly more expensive than a shiai. With more styles meeting to compete, an invitational tournament is a great learning experience for any competitor who attends. An open tournament is the most competitive of the three. Open tournaments are open to anyone, of any style that is in the area and wants to attend. It is more expensive than a shiai or an invitational tournament, almost always has black belt level competition, and usually has large competition rings. This is the toughest type of competition and therefore has the most to teach any competitor who attends. 2. Please explain the rank system in your style. When the last stripe is pulled the person is in testing for the first level of black belt (Shodan). How much time a person spends at each rank is completely at the discrection of their Sensei. In Goju Federation people must be over 16 years old to test for Shodan. If they are under 18 when they finish the test they are awarded a rank called Shodan-ho. 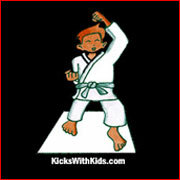 At that time they wear a black belt with a brown stripe running the length of the belt. When the student turns 18, and he is still training, his 'ho' status is removed. Promotions in USAGF are based on these criteria: attendance, technology learned and, of course, development of courtesy and fighting spirit. 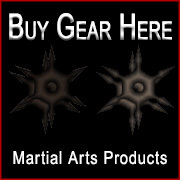 The test itself includes exercising, written work, kata, self-defense, weapons review and kumite (sparring). Each child develops as an individual. Some will excel in kata, others in self-defense etc. The road from white belt to brown, although it varys from dojo to dojo, will probably take 4 to 5 years. If the child is a brown belt at the age of 11 or 12, he or she will remain a brown belt until the age of 16 ir 17. At that time, if the Sensei thinks it is time, the black belt test can begin. All teenagers will become a shodan-ho (ho translates to half step and designates the concept that all the work has been done, but adult age has not been reached) until the age of 18. When the student turns 18, if still attending the dojo, the belt will be turned to shodan (first degree black belt). Many say that is when training really begins.